Damien Social Welfare Centre(DSWC) is the great institutions for leprosy care services in the Jharkhand state named Nirmala Referral Hospital For Leprosy. Damien society has started working for leprosy activities in 1964. I personally visited the place. I will the tell you the short story which I faced. I found one unknown person in Randhir Verma Chowk. He was telling his name ‘Ganesh’. He was looking so dirty and his leg has big wound affected with worms. Check out the full story here. I contacted Father Vipin(Damien Society) at the Damien Office at Bekarbandh opposite to Shankar Nursing Home. The Nirmala Leprosy Hospital has taken admission and started treatment at very low cost. 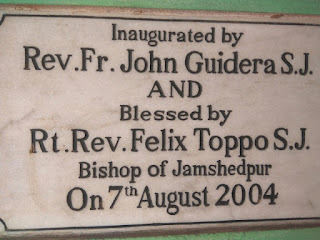 I personally want to thank Father Vipin and their society. Well, this society has been working good for leprosy and general patient. They are providing treatments at very low cost. 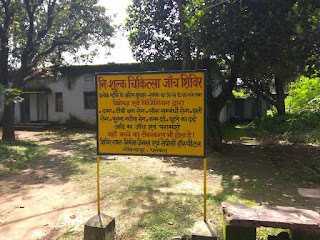 I have seen two project named Nirmala Leprosy Hospital Dhanbad and Nirmala School. Provide footwear and other needy appliances to persons with disability. Activities on awareness on leprosy. Phone: +91 326 231 3051. Contact the organization. You can get full details about the society here.